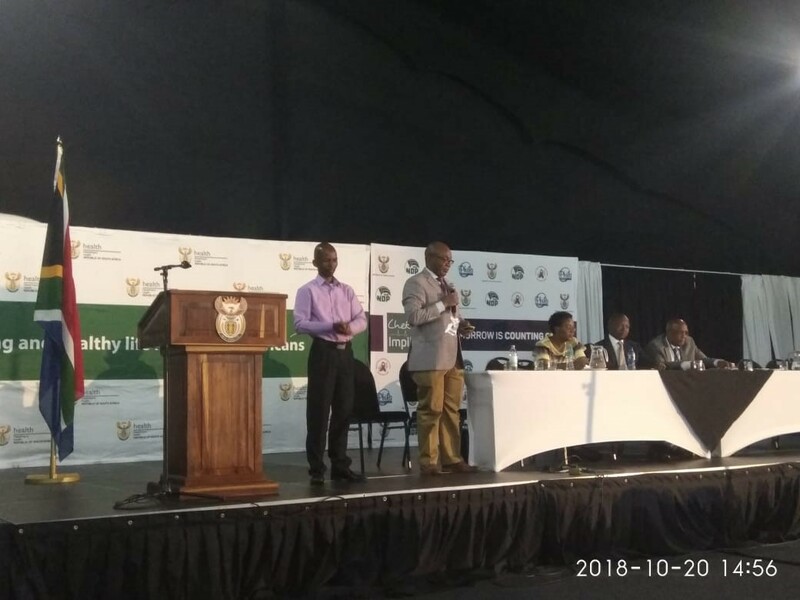 As part of the South African Government’s commitment for ensuring Universal Health Coverage (UHC), draft National Health Insurance (NHI) Bill was recently passed by the cabinet; the goal of the bill is to facilitate health systems and financing reforms towards enhanced access to quality health services without financial hardship in the country. As a demonstration of the highest level political leadership for UHC, the President of South Africa hosted the ‘Presidential Health Summit’ on the 19th and 20th October 2018 in Johannesburg. The purpose of the Summit was to engage with stakeholders to deliberate on the challenges in the health sector and to collectively define the roadmap for South Africa’s journey towards UHC with the NHI as entry point. The World Health Organization provided leadership and technical support to the Presidency and the National Department of Health in the successful organization of Presidential health Summit. During the opening session, a keynote address via video message by was received from Dr Tedros Ghebreyesus, WHO DG. Also Dr Joe Kutzin, Coordinator Health financing, WHO HQ, made a presentation on “International experiences and lessons in health financing and systems performance”- the presentation was well received and served as reference point in the discussions during the summit. Addressing the concluding session of the Summit, WHO Representative in South Africa, Dr Akpaka Kalu, recapitulated the summary of outcomes from the work of the nine Commissions. He congratulated the Government of South Africa for holding such high level summit on UHC, called for strategic focus on the core SDG principles of leave no one behind, inclusivity and multi-sectorial action towards UHC, and reiterated WHO’s commitment to support the National Department of Health and the Presidency in implementation of the outcome of the Summit. WHO will continue to support and work collaboratively with the President’s office and National Department of Health in development and implementation of the compact and other systems strengthening initiatives aimed at Universal Health Coverage.